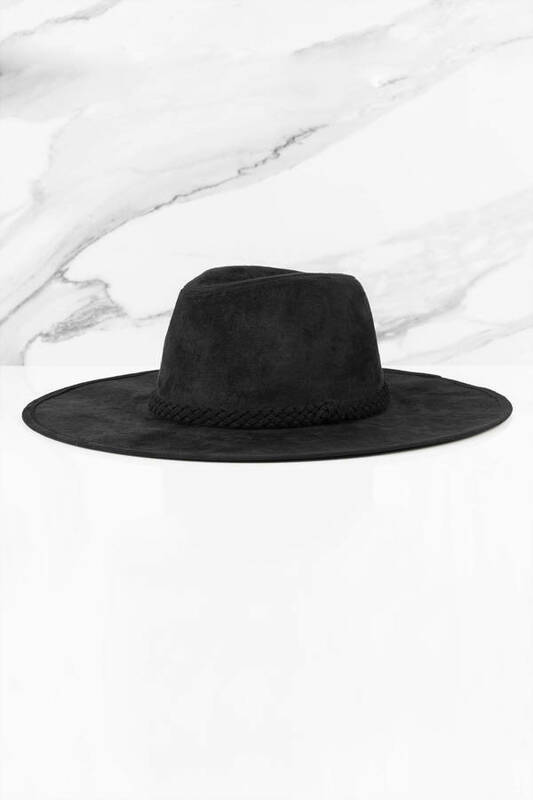 Check out Tobi's Jamie Suede Hat Get all the boho vibes with the Black Jamie Faux Suede Hat. With a dipped crown and black rope trim, this wide brim fedora will add a trendy touch to all your casual outfits. 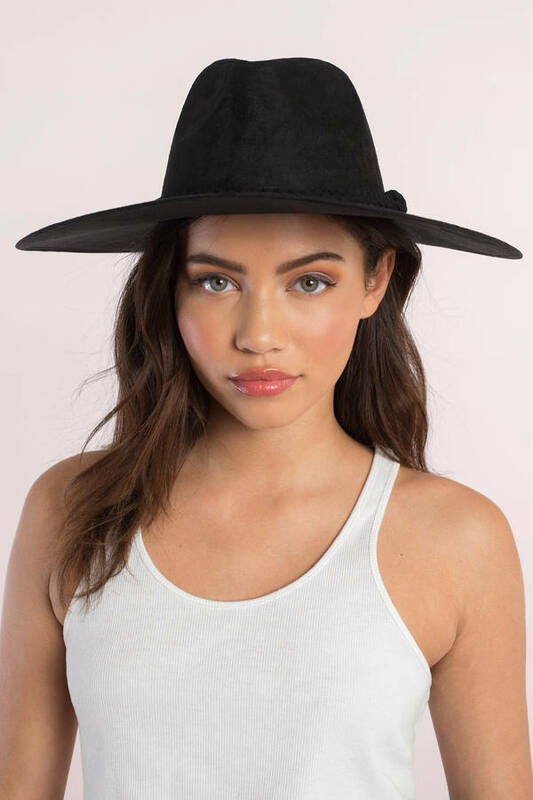 City brunch or festival field, this faux suede hat won't let you down. 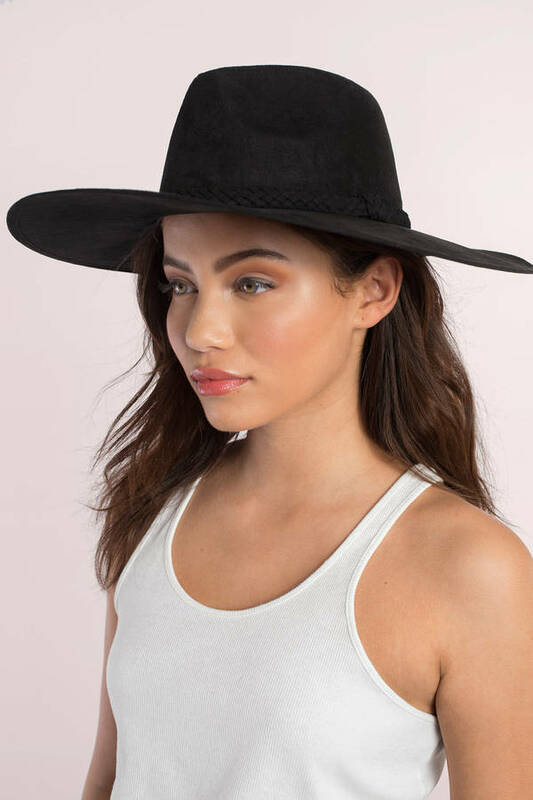 Get all the boho vibes with the Black Jamie Faux Suede Hat. 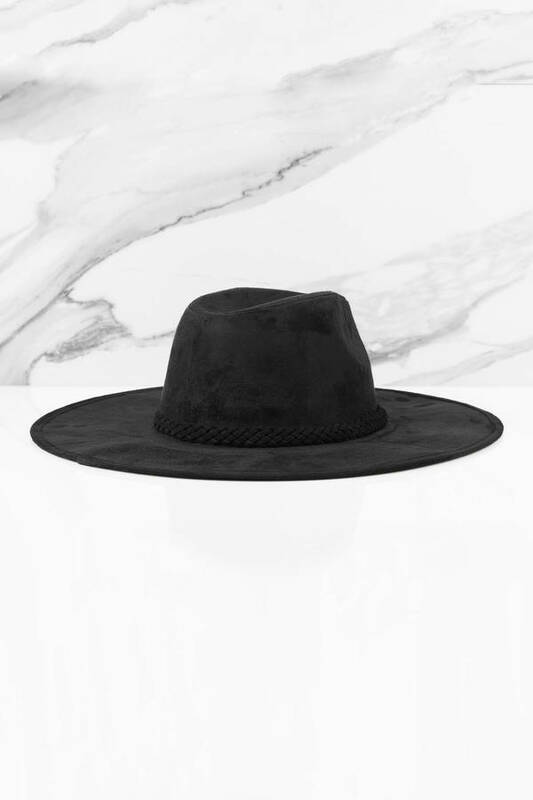 With a dipped crown and black rope trim, this wide brim fedora will add a trendy touch to all your casual outfits. City brunch or festival field, this faux suede hat won't let you down.